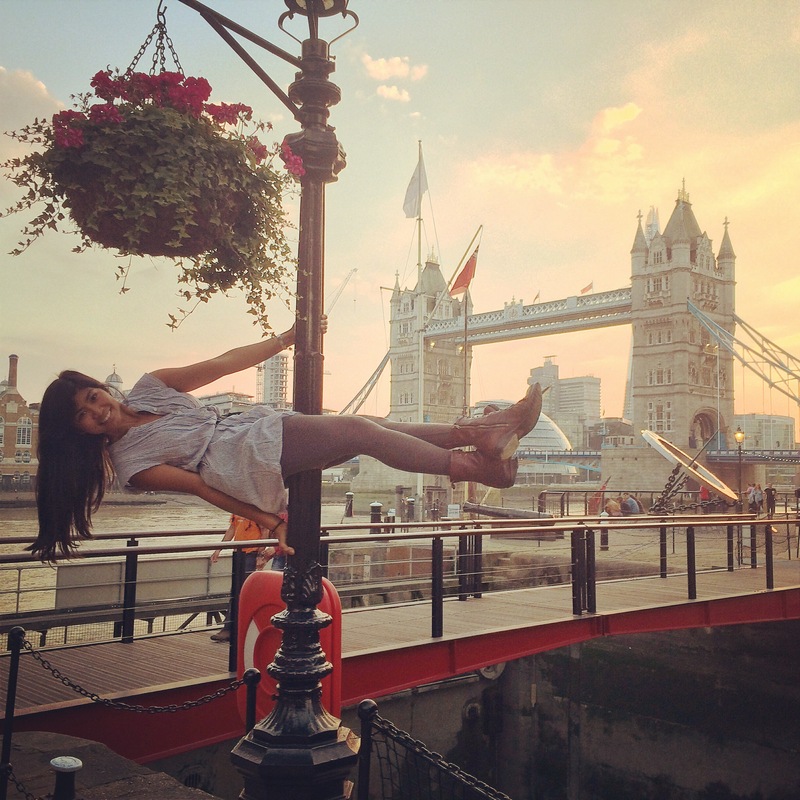 Hi, I’m Melanie and on August 17, 2014, I left home to travel the world, pole dance and research pole dancers. Part travel blog, part pole blog, this site serves as a log of my round-the-world trip. When it comes to travel, I am quite random. I set a plot on a map and from where I am, make my way there by foot, train, bus, bike, any way I can to get there, with frequent stops along the way. I travel alone and like to get to know cities by exploring nooks and crannies, food markets, and little hidden gems like how the best curry in NYC is a little hole in the wall joint frequented by Pakistani cab drivers next to a gas station in SoHo! The BEST! After working in NYC for 5 years, I quit my job and follow, as Herman Hesse said, “the teachings that my blood whispers to me.” I decided to take the next year off to travel the world, rekindle relationships with old friends, meet new ones and delve deeper into my obsession: pole. I started pole dancing at S Factor – Chelsea after a suggestion from a friend post breakup blues and watching Sheila Kelly’s TED Talk. I needed something to make me feel worth it, something selfish and all my own, and pole dancing hit the spot! I noticed that I became more relaxed, happier, fitter, stronger and felt this way all the time. I started reading articles about the pole dancing movement and how it was making women feel, despite the differences in studio curricula, mirror or no mirrors, ambiance, women of all stages of their lives and socioeconomic backgrounds were experiencing the same effects. Most of the people that I talk to about my interest in pole dancing were intrigued and supportive of my venture, however, I was dismayed by the number of people that winced and asked if I was becoming a stripper or gave a mildly lewd remark (no real offence taken guys). Like how video games were vilified for their violence in the 1990s, but are now touted for their positive influence in psychology and the economy, pole seems to be taking the same route. As I have stated in my first post, my goal is to track this phenomenon, making new friends, eating new foods, learning new moves and learning a few languages along the way. I am currently working on a book with the data I accumulate. I hope you enjoy following me and learn to appreciate pole, one woman, one pole at a time.